Sharp & Tappin was asked to design and build a gearbox/coil feed system, which would feed coil from a reel to a tube bending machine. The solution was also required to accommodate differing sizes of coil. Our team designed, developed and manufactured the coil feed gearbox as specified and also included an encoder measuring system as part of the solution. The client was supplied with a highly reliable feed box with interchangeable rollers for different diameter tube. 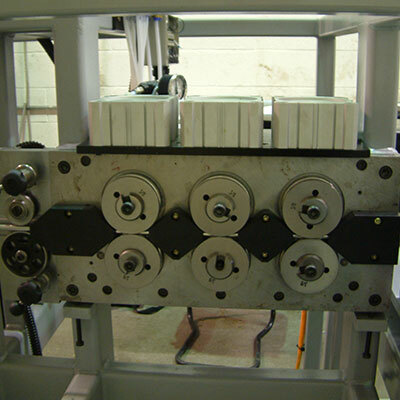 This solution has been so successful for the client, it has gone on to be used with most of the bending machines in their product range, resulting in approximately 10 – 15 of these units now in operation around the UK.